The HSElife NL working groups are the driving force behind the composition of uniform and standardized HSE information. 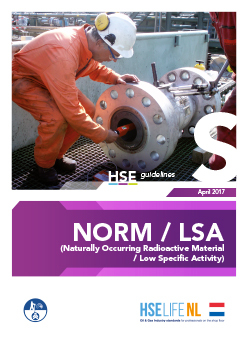 They make this information available for each topic through HSE documentation and video presentations. In an A6 brochure you can read concise harmonized information about an item. It’s a tool to help you to familiarize yourself with the subject or to reread the information. Use the presentation for work preparations, for example during the toolbox meeting. At the end of the presentation you’ll find a questionnaire to interact with each other. A video tells the item’s story. Use the video for work preparations, for example during the toolbox meeting. PLEASE NOTE: In order to use HSElife NL material, we refer to the disclaimer. Because of its excellent properties as a material, asbestos was widely used in buildings until the late twentieth century. In 1993, however, its use was prohibited in the Netherlands. 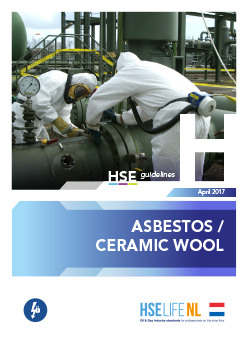 Since then, no products containing asbestos have been manufactured. But the material can still be found in older buildings and systems. If it is damaged, exposed during renovation or demolition work or affected by fire, asbestos presents a serious danger to human health and the environment. 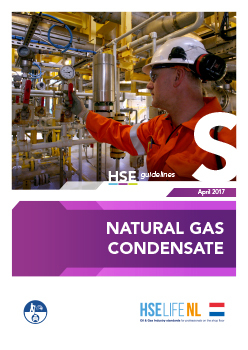 Natural Gas Condensate is a by-product of gas extraction and gas production and contains benzene, among other things. It is a mixture of hydrocarbons that occurs at every production installation. It is comparable to petrol and it derived from sour gas locations, has a different structure than that of fresh gas sites. In both cases it is flammable and explosive. It's also harmful to health and to the environment. This means that maximum care and alertness are required at all times! Benzene is carcinogenic. It's one of the components of natural gas condensate. So avoid any contact with benzene. What precautions can you take? 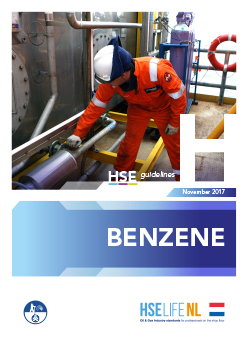 What should you do if you do get exposed to benzene? Before certain jobs on an installation can begin, the installation (or relevant parts of the installation) must first be safeguarded. This means that it must be cleared of any liquid, gas, pressure and power. 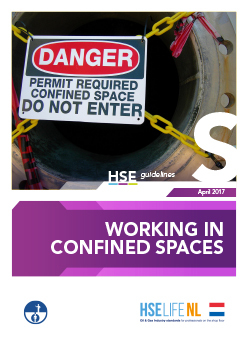 In addition to measuring oxygen levels, toxicity, and Lower Explosion Limit (LEL) as as baseline measurements, confined spaces are particularly susceptible to extraordinary circumstances that may be or become hazardous or life-threatening. 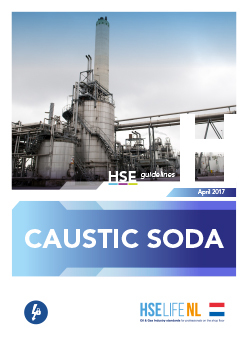 Caustic Soda or sodium hydroxide is a highly aggressive and corrosive substance that absorbs moisture from the environment. When dissolved in water, it is known as Caustic Soda. We use Caustic Soda to desulfurise acidic natural gas condensate, and to clean and degrease equipment. Inhalation of vapours or spray mist may produce severe irritation of the respiratory tract. Anyone coming into contact with Caustic Soda may suffer serious burns. Accidents with electricity can have catastrophic consequences. 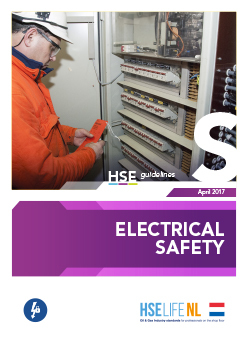 In order to prevent accidents of this kind from occurring, you must be familiar with the tasks and responsibilities of everyone who is involved with work on electrical installations. You should also be aware of the risks and be able to recognise dangerous situations where electricity is involved. 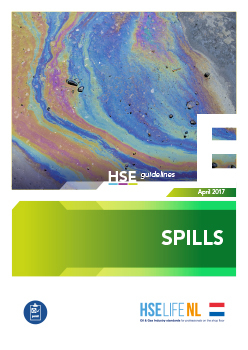 Preventing leaks of gas and oil products is very important because of possible implications for the safety on the location and the environment. 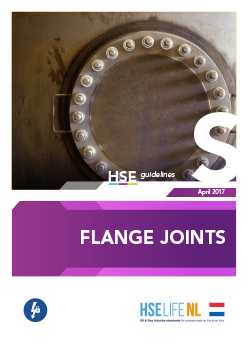 One of the main potential sources for leaks are the flange joints in the installations. We have therefore issued strict instructions to make absolutely sure that the joints are leakproof. 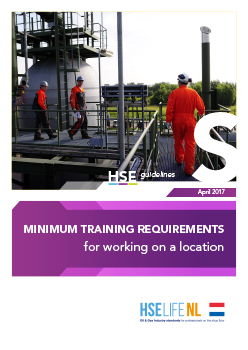 Qualified fitters and their supervisors are expected to know the instructions and comply with them. 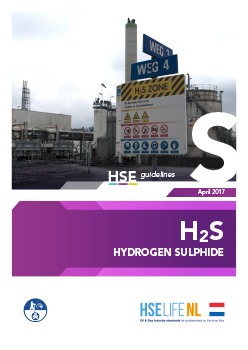 H2S (Hydrogen Sulphide) may occur in drilling at a drilling rig, at production and processing facilities, during the extraction of oil and natural gas. It is extremely toxic and very harmful to the environment. Injuries to the limbs account for some 85% of all major injuries, especially to various parts of the hand or wrist. Most accidents occurs during handling. The injuries associated with it are mainly fractured, crushed or severed fingers. There are several hazards that can cause a hand injury. 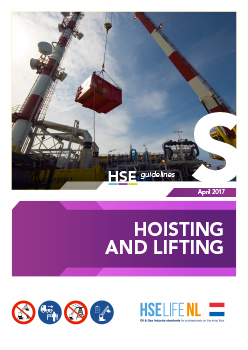 There is an increased risk of personal injury or damage associated with all hoisting and lifting activities. Safe hoisting and lifting is more than just knowing the proper techniques and using the right materials and tools. You need to be trained, to gain experience. It is only then that you can make a reasoned judgement of the risks involved in the work at hand and carry it out safely. Gas is extracted from the ground in a highly pressurized state. When an installation is in full operation, all pipes and storage facilities are under high pressure. Pressures of up to 200 bar are not exceptional. Mercury occurs naturally in gas-containing formations. 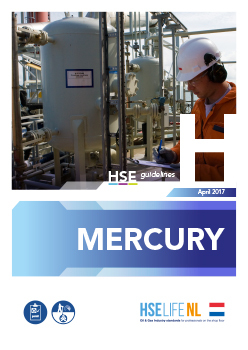 Mercury is produced to a greater or less degree during the production of natural gas. It may occur as metallic mercury in all production facilities, specifically in pipes, filters, tanks and glycol units. Mercury may also occur in the sludge from, for example, skimmer tanks. Mercury is harmful to health and the environment. This means: maximum caution and care is called for! Note: This video is about generally applicable rules. Individual companies may have different, stricter rules. Just ask! 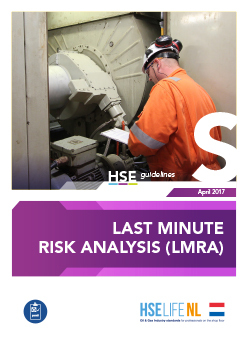 You need to perform a LMRA in order to make sure that the risk you have estimated beforehand as well as the measures you have taken are consistent with the situation you encounter at the work place. 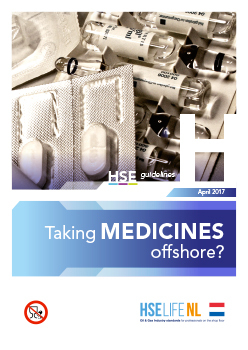 If you're on medication and you need to carry your medicines with your offshore, you have to report this before departure. For medicines could possibly influence your judgment or response capacity. 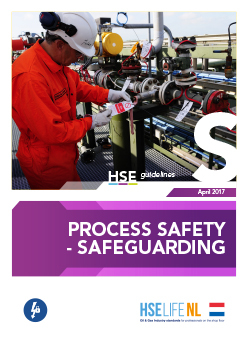 Everybody who knows the risk of working in a processing environment, also knows that a quick and adequate response can be vital. Therefore, this rule has a clear and important reason: the safety of all on board. Working in the Oil and Gas industry is fraught with risks. 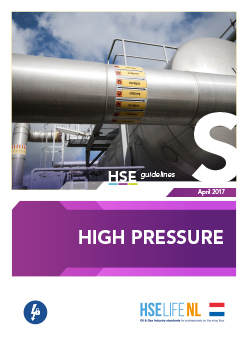 Systems are often under high pressure, substances are flammable, explosive or harmful to health. These are just a few examples. Is working in this industry dangerous then? No, because with proper training you recognize the risks and you know how to act. Natural Occurring Radioactive Material can be present in the installation of E&P locations. Everyone visiting any such location,will be informed about this immediately after arrival. Anyone who will beworking at such a location, will be informed beforehand about the risksassociated with the material and how to deal with it. Strict procedures apply when working on installations and systems. For there is always a risk noxious substances might be released. 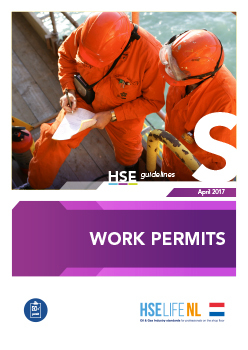 Therefore you should carefully read your Permit to Work and check whether the described control measures have been taken. Then take the precautionary measures which belong to the work that is going to be done by you. Before certain jobs on an installation can begin, the installation (or relevant parts) must first be safeguarded. That means ensuring that the installation is free of liquid and gas and depressurized. Safeguarding is the responsibility of the operator. With this the Operations department provides a safe workplace. So liquids and gases are confined to where they belong: in pipes and installations on which no work is scheduled. Nitrogen gas is naturally present in the air, of which it makes up approximately 78%. 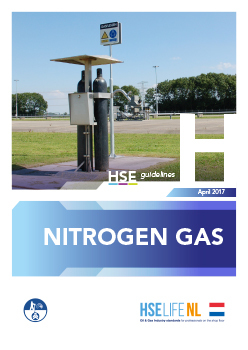 In exploration and production operations, highly compressed nitrogen gas is used for maintenance and inspection purposes. When it's released, it displaces the oxygen in the atmosphere. In concentrations higher than natural levels, nitrogen gas poses a major health risk. It can even lead to death. This means that extreme caution is necessary when nitrogen gas is being used. 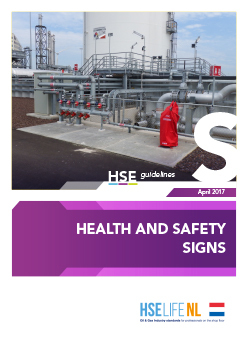 Clear health and safety signs play an essential part in safety during operations and in the health of employees. That’s why at a location everyone (visitor, employee and contractor) must be familiar with the meaning of the H&S signs and follow the rules. 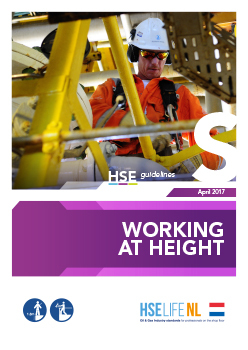 On any installation, activities to be executed at height are the most hazardous. That is why you need explicit authorization to execute these kinds of activities. The use of protective equipment in order to prevent you from falling or to protect you from any consequences of falling, is mandatory. Before as well as during the work, it is expected from you that you know when and how to use this equipment. There are strict procedures when working on installations and systems. After all, there's a risk for noxious substances to be released. Therefore read the Permit to Work carefully and check if the described control measures have been taken. Then take the precautionary measures which belong to your job. NOTE: This refresher course does not replace the Basic Training Permit to Work. Ask for company specific mandatory training! The purpose of this tool is to promote safety at the workplace and not to “inspect”. On the contrary, it’s to be used to jointly come to an open conversation. 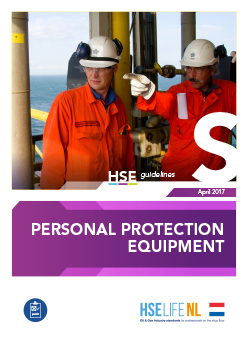 Check out this PDF file or your printed copy of HSE item the last published version .